To assemble the card, I stayed fairly true to the process outlined last week and you can read about it here. 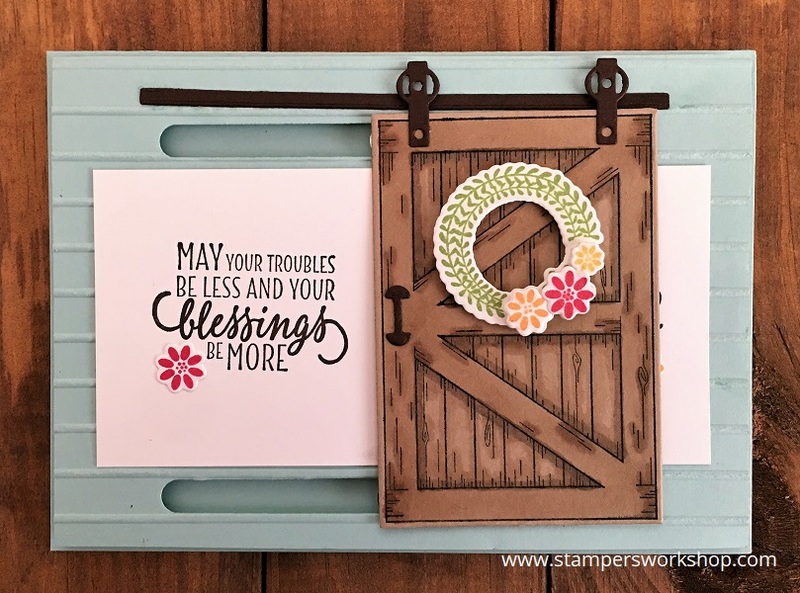 I did, however, decide to use the Hardwood background stamp to create the base panel (and I love it!). Now some might (and have) said you cannot have a white/grey barn door but I say, and if you take nothing else away from this post, I hope it is this – do what makes you happy! It is your art and your creative process. If you want a purple door, create a purple door. If you want a green door – make it green! It is entirely up to you! There is no *wrong* thing when making cards. This card makes me happy. I loved making it and watching it all come together. I hope it brings a smile to your face too. (Don’t forget, this bundle can be purchased as either a clear-mount or wood-mount set. You can also order the stamps and die set separately. A 10% discount applies to the bundle only. You must order the bundle in my online store for the discount to apply. It will not apply if you order the two separate items). 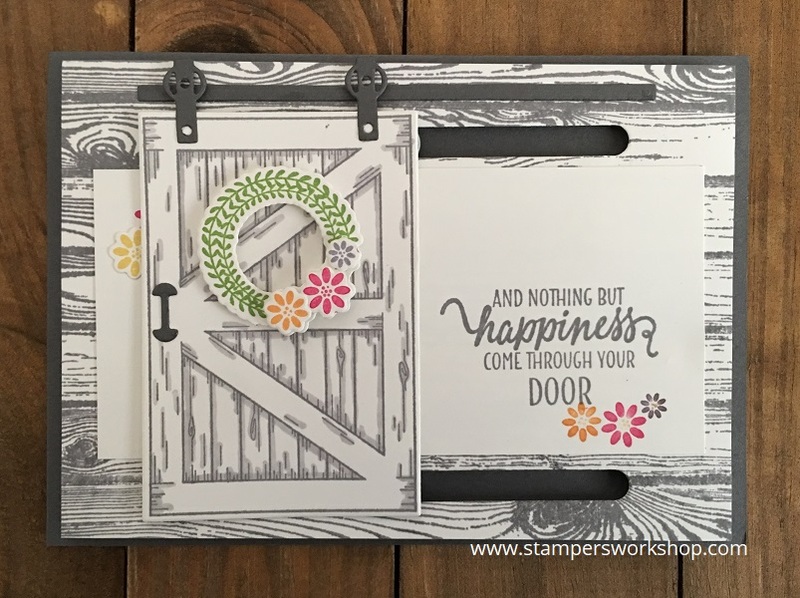 Hi, I know you are all loving the Barn Door Bundle and really, what isn’t to love?! It’s a fantastic set! If. however, you have never made an interactive card before, you might be wondering how it all goes together. 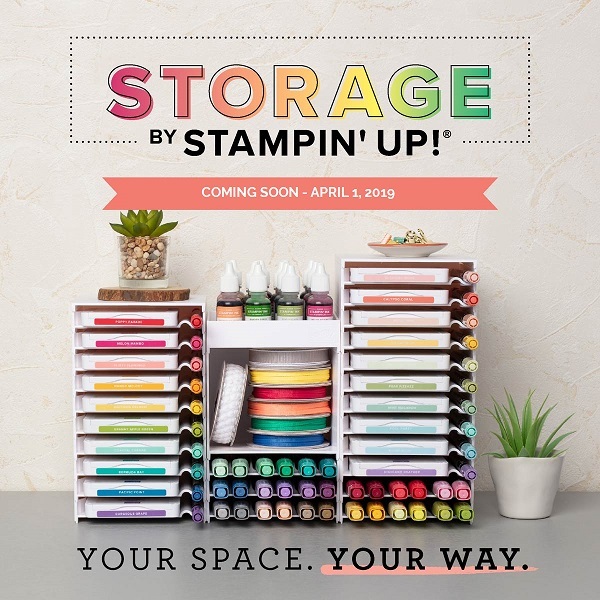 The following video, by the Stampin’ Up Home Office, offers an overview of the bundle plus many hints and tips about assembling this particular project. It’s a must-watch if you have this bundle, or are planning to get this bundle. Wasn’t that great? So helpful! If you would like to see the card I made using this bundle the other day, click here. I can’t wait to see what creations you come up with using this set. (Please note, this bundle can be purchased as either a clear-mount or wood-mount set. You can also order the stamps and die set separately. A 10% discount applies to the bundle only. You must order the bundle in my online store for the discount to apply. It will not apply if you order the two separate items). Hi, there’s a lot to love in the new Occasions catalogue and I feel like I’m saying, “this is my favourite” about so many of the products. The card I am sharing today does feature one of these “favourites”. 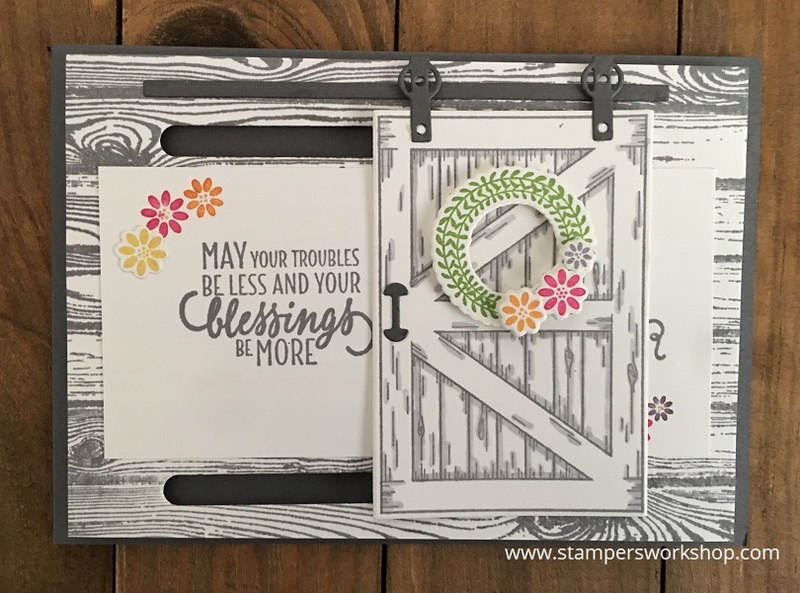 When I turned the page and saw the Barn Door bundle, I knew it would be on my “must have” list. I hope my card will show you why I love it so much. 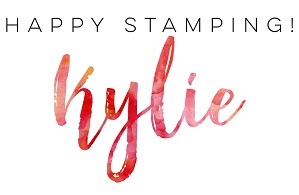 You can purchase the stamps and dies separately however they are designed to work together and you will receive a 10% discount if you do order them together. In the shop, look for the bundle option as the discount won’t apply if you add in the stamps and then the dies. I’d hate for you to miss out on the discount. Okay, let’s get on to the card. My card looks very similar to the catalogue for a couple of reasons. Firstly, I’m so crushing on Pool Party. It is one of my favourite colours so I had to use it as the background colour. 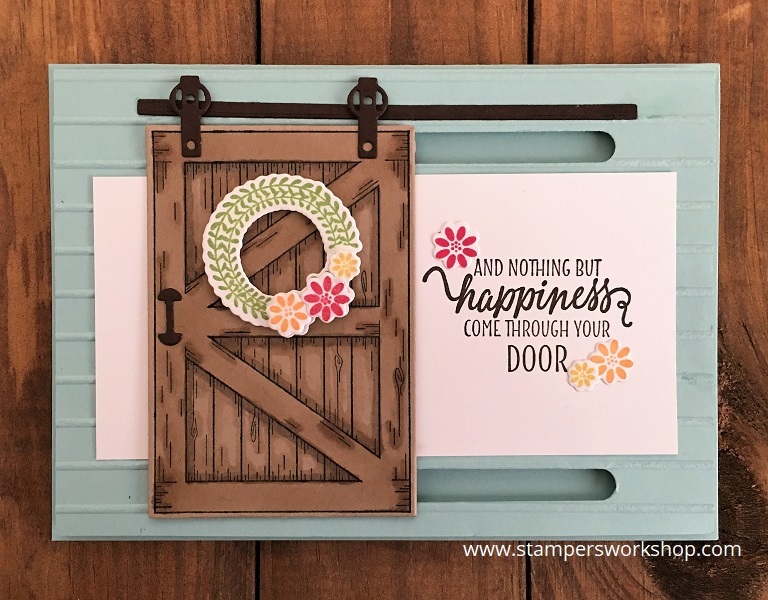 I also love the new Simple Stripes embossing folder and love how it gives the illusion of weatherboard. To start, I stamped and coloured the barn door. You don’t have to colour the door but I thought it might give it a more realistic appearance. I then stamped up all of the supporting pieces. Die cutting came next. Next, I used the Simple Stripes embossing folder and ran it through the Big Shot. I suggest doing it this way as you may flatten the texture if you do the embossing and then the die cutting. Putting it all together was the next fun bit. I purchased some M4 washers from my local hardware store for my sliding mechanism. You could use small coins or game pieces but the washers work well. I also used the Foam Adhesive Strips to pop up the panel so that the door could slide freely. Isn’t it beautiful? I’ve another one on the go as I had such fun making this card. I’ll share it when it is finished.